Anne Flenner, School Counselor, has worked to meet the academic, social, personal, and professional needs of FLVS students since 2011. Previously a school counselor in Alachua County, she has received several awards and serves on multiple state counseling boards and committees. She has a Master's degree in Counselor Education from UF. Anne loves working with student athletes, supporting college and career readiness, and focusing on student mental health and wellness. Amy LaGrasta, School Counseling Manager, helps students make informed decisions about courses, career and college options, and the study habits needed for online success. Prior to joining FLVS, she served as the guidance director at Estero High School in Lee County, FL where she was honored with the Teacher of Distinction award. Allison Voltaire, Elementary Program Lead Teacher, started her teaching career in an elementary classroom before transitioning to Middle School Math with FLVS Flex in 2012. She currently serves as a 5th Grade Lead Teacher, after designing and teaching 4th grade curriculum for the FLVS Flex Elementary Program. Mrs. Voltaire is passionate about supporting FLVS students, families, and teachers blend home-based education with innovative, virtual learning into an effective and positive learning experience. Caroline Lyles, Florida Virtual School 2016 Teacher of the Year, has been with FLVS since 2011 as both a Spanish instructor and curriculum writer. She has dual Master’s degrees in Spanish and Education with an emphasis in Curriculum and Instruction. A passionate believer in life-long learning, she has been instrumental in creating and designing Spanish courses at FLVS. In her spare time, she enjoys exploring historical sites and kayaking with her family. 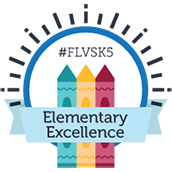 Cara Piper loves teaching Kindergarten students online with FLVS Flex Elementary! She is a teacher mama, grammar aficionado, blogger, and collector of creative headbands to keep her students engaged during Class Time. Follow her on Instagram @virtualelementaryteachers. Darcey Addo is a National Board Certified teacher who has been teaching at FLVS since 2009. She has a Master’s degree in Teacher Leadership and Urban Education and is currently pursuing a PhD in Leadership, Policy and Change in Education. Darcey is an Examiner for the Florida Sterling Council and has a keen interest in process and performance improvement. In her local community, she serves as an adult member of the Youth Advisory Board to the Mayor, helping students get involved in local government and community activism. Elizabeth Fulcher, Career and Technical Education Curriculum Specialist, joined FLVS in 2011 after 8 years in the traditional classroom. She owes a lot to CTE. She graduated from high school with a Gold Seal Scholarship and earned a Master's degree from UCF in CTE. She firmly believes CTE provides endless opportunities for students and prepares them for college and in-demand careers. Elise Harris, Florida Virtual School 2015 Teacher of the Year, has been teaching in Florida for ten years and joined FLVS in 2008. As a middle school Social Studies teacher, she enjoys creating innovative and unconventional opportunities for student success and believes firmly that every student deserves the right to learn in their own way. Dr. Jeanne Giardino, FLVS Parenting Skills instructor, has a true passion for all things literacy. She enjoys the collaborative process in promoting reading in all aspects of virtual education. Having held a variety of positions with FLVS since 2006, she brings a global perspective to her current position. After 20 years in the field of education, she maintains a wealth of literacy knowledge and enthusiasm for student success. Linda Childs teaches Earth/Space Science and Forensic Science at FLVS. She is a lover of the three S’s (Science, Space and Sports) and is a certified NASA ambassador providing support with lessons and educational outreach. Her favorite thing about teaching is watching students’ light bulbs go off when they understand a concept. Challenging them to make connections with science so they better understand it is her goal. On weekends and evenings, she can be found in basketball gyms either watching her two kids play on teams or at the Amway Arena cheering for the Orlando Magic. Lisa Ullmann, 2018 Florida Virtual School District Teacher of the Year, joined FLVS more than 10 years ago to provide individualized instruction to students. As an ambassador for online learning, she represents FLVS by hosting online events and promoting the importance of online education to leaders throughout the community. She is also a recipient of the United States Distance Learning Association Award for Excellence in Teaching and Training. Lori Wurtzel has been teaching Criminal Justice Operations and Law Studies since 2014. Before making the jump into education, Lori had a six-year career as a criminal defense attorney. Lori is passionate about advocacy and education...and blogging! Michael is a Curriculum Specialist with the Career & Technical Education (CTE) Digital Publishing Team. He earned a Ph.D. in Curriculum and Instruction and recently joined the FLVS team after 13 years of CTE experience in Palm Beach County. Michael has served 17 years in the Army National Guard and is an avid runner and musician. Melodie Robelo joined the FLVS team in 2015 as an English 1 instructor, after 9 years in the traditional classroom. She has had a well-rounded career, having taught exceptional student education, language arts, and mathematics to students in grades 4-8. Her passion is helping students of all ages learn to express themselves and share their stories through writing. Above all, Melodie values relationships and is proud to work for an organization where students come first. Rose Rodriguez is a passionate educator with over 15 years of hands-on experience in the classroom, both traditional and virtual. 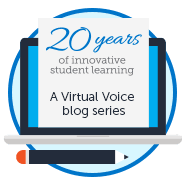 Rose truly believes that education can be transformed one student at a time and strives to bring the FLVS vision to life through innovation and the reinvention of education every day of the school year. Suzan Kurdak is a published author, blogger, and communication specialist who joined Florida Virtual School in 2011. She is passionate about boosting and encouraging others to live life to their fullest potential. Tina Leslie, Career and Technical Education Curriculum Specialist, joined FLVS in 2008 after 4 years in the traditional classroom. Tina earned a Master's degree from University of South Florida in Career and Technical Education. She firmly believes CTE provides endless opportunities for students and prepares them for college and in-demand careers.